Andrew's RV-7 Build Log | Turning a pile of aluminum into a flying machine one rivet at a time. Welcome to my Builder’s Log. I don’t want to read all this introduction crap…Take me straight to the latest post. 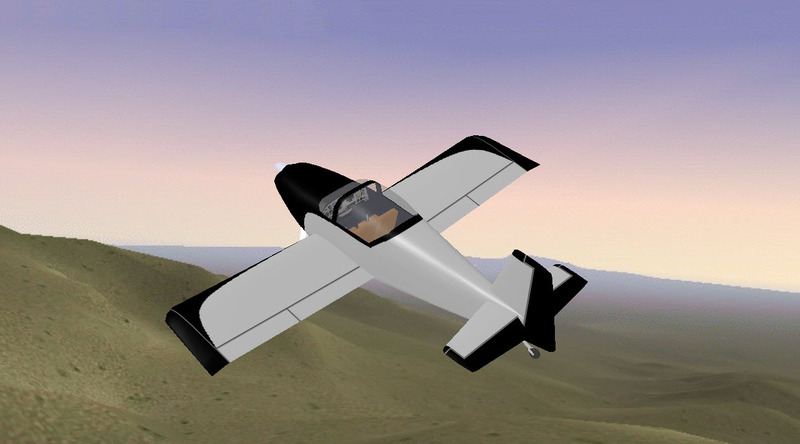 The RV-7 is a low-wing, two-seat, all metal airplane with a roomy cockpit that will easily accept two 6’ + adults with sufficient leg, head and elbow room to stay comfortable for three to four hours at a time. It is an all-around sport airplane, with excellent cross-country capability, fine aerobatic qualities and superior handling. A typical RV-7 can hold two FAA standard pilots (ha, there is nothing standard about me), 100 lbs. of baggage and full tanks: 42 gallons. At the aerobatic gross weight of 1600 lbs., the RV-7/7A complies with the +6/-3G standards of the FAA’s Aerobatic Category and can still carry two people, making it possible for a new pilot to get aerobatic instruction before he or she starts rolling and looping. Cruise speeds near or even above 200 mph, combined with the endurance and the range possible with the 42 gallon fuel capacity means that you can traverse half the American continent in a day — more if the winds are right. Cruising at a sedate 160 mph or so, the RV-7 can achieve better mileage than many of the compact cars it is flying over. (Quick math…740 nautical miles (about 850 statute miles) divided by about 42 gal…<calculator sound>…20.2 mpg. Not bad. 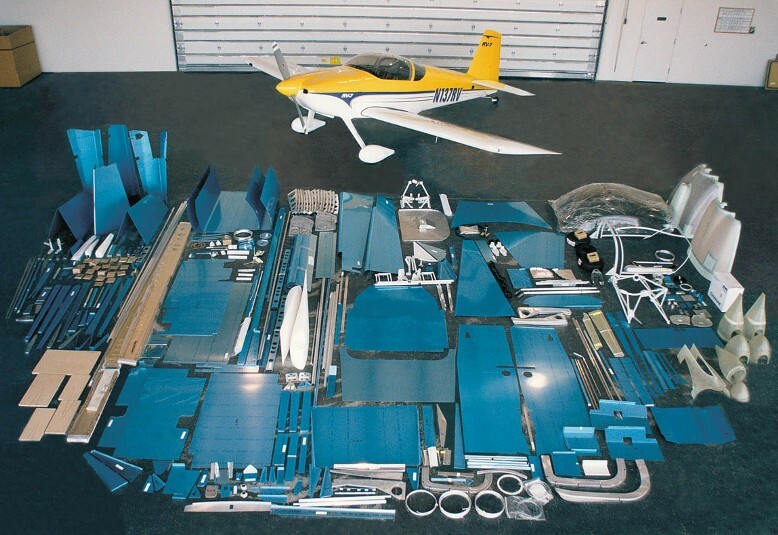 The RV-7 Standard Build Kit. It’s like Legos for adults. See below for links to the builder’s log. Legal mumbo-jumbo: It’s possible (not likely) that I’m not as smart as I think I am. (Occasionally, I have moments when I know this to be true. Fortunately, the feeling passes quickly.) Although I have tried to make this information as accurate as I can, it is not only possible, but also quite likely, that erroneous and misguided information lurks within these pages. I cannot and do not warrant these pages to be error free and correct, or even entertaining. Furthermore, I accept no liability for the use of this (mis)information. And, as many would say, your mileage may vary. (Warning care of http://www.mikesflightdeck.com). If, after reading this, you are intent on proceeding, please be aware that the contents of this site are protected by copyright (copyright © 2009 and 2010). Nonetheless, you may copy this material subject to these two conditions: (1) any information used is for non-commercial purposes, and (2) the source of the material is properly credited. Of course, you may link to any page herein.